Based upon years of research and presented in gripping, fast-paced prose, this book captures the high drama and tension of the 1863 horse soldiers in a modern, comprehensive, academic study. Benjamin Grierson’s Union cavalry thrust through Mississippi is one of the most well-known operations of the Civil War. The last serious study was published more than six decades ago. Since then other accounts have appeared, but none are deeply researched full-length studies of the raid and its more than substantial (and yet often overlooked) results. 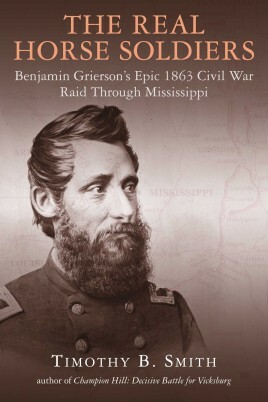 The publication of Timothy B. Smith’s The Real Horse Soldiers: Benjamin Grierson’s Epic 1863 Civil War Raid through Mississippi rectifies this oversight. There were other simultaneous operations to distract Confederate attention from the real threat posed by U. S. Grant’s Army of the Tennessee. Grierson’s operation, however, mainly conducted with two Illinois cavalry regiments, has become the most famous, and for good reason: For 16 days (April 17 to May 2) Grierson led Confederate pursuers on a high-stakes chase through the entire state of Mississippi, entering the northern border with Tennessee and exiting its southern border with Louisiana. The daily rides were long, the rest stops short, and the tension high. Ironically, the man who led the raid was a former music teacher who some say disliked horses. Throughout, he displayed outstanding leadership and cunning, destroyed railroad tracks, burned trestles and bridges, freed slaves, and created as much damage and chaos as possible. Grierson’s Raid broke a vital Confederate rail line at Newton Station that supplied Vicksburg and, perhaps most importantly, consumed the attention of the Confederate high command. While Confederate Lt. Gen. John Pemberton at Vicksburg and other Southern leaders looked in the wrong directions, Grant moved his entire Army of the Tennessee across the Mississippi River below Vicksburg, spelling the doom of that city, the Confederate chances of holding the river, and perhaps the Confederacy itself. Novelists have attempted to capture the large-than-life cavalry raid in the popular imagination, and Hollywood reproduced the daring cavalry action in The Horse Soldiers, a 1959 major motion picture starring John Wayne and William Holden. Although the film replicates the raid’s drama and high-stakes gamble, cinematic license chipped away at its accuracy. Based upon years of research and presented in gripping, fast-paced prose, Timothy B. Smith’s The Real Horse Soldiers captures the high drama and tension of the 1863 horse soldiers in a modern, comprehensive, academic study. 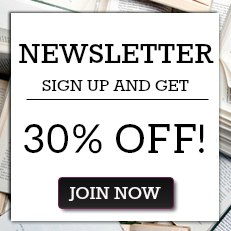 Readers will find it fills a wide void in Civil War literature. Timothy B. Smith (Ph.D. Mississippi State University, 2001) is a veteran of the National Park Service and currently teaches history at the University of Tennessee at Martin. In addition to many articles and essays, he is the author, editor, or co-editor of eighteen books, including Champion Hill: Decisive Battle for Vicksburg (2004), which won the nonfiction book award from the Mississippi Institute of Arts and Letters, Corinth 1862: Siege, Battle, Occupation (2012), which won the Fletcher Pratt Award and the McLemore Prize, Shiloh: Conquer or Perish (2014), which won the Richard B. Harwell Award, the Tennessee History Book Award, and the Douglas Southall Freeman Award, and Grant Invades Tennessee: The 1862 Battles for Forts Henry and Donelson (2016), which won the Tennessee History book Award, the Emerging Civil War Book Award, and the Douglas Southall Freeman Award. He is currently writing a book on the May 19 and 22 Vicksburg assaults. He lives with his wife Kelly and children Mary Kate and Leah Grace in Adamsville, Tennessee. "Impressively informed and informative, exceptionally well researched, written, organized and presented, "The Real Horse Soldiers" is enhanced for academia with the inclusion of maps, illustrations, a sixteen page bibliography, a twelve page list of acknowledgments, and an eleven page index."